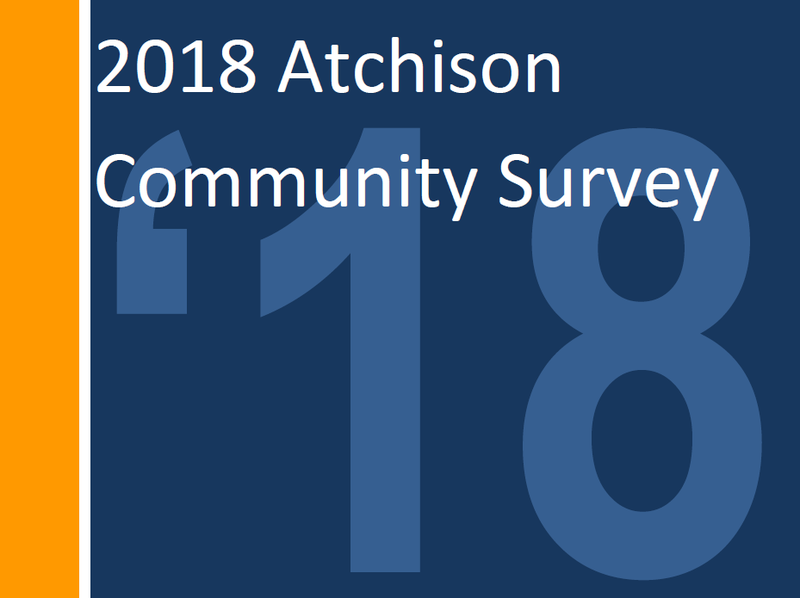 A final report from the 54-question 2018 Atchison citizen satisfaction survey is finished and available to the public. Questions were about quality of public services, public safety, code enforcement, infrastructure, parks and facilities, utilities, economic development and city communications. More than 600 responses were submitted, well exceeding the minimum necessary for the results to be statistically accurate. “We decided to move forward with the survey not only to get a baseline of our residents’ level of satisfaction with the services we’re providing, but also to gain critical feedback in preparation for our upcoming strategic planning process. The survey results are key to understanding where we are and we’ll use those results in developing a strategic plan that outlines where we want to be as an organization with defined, measurable goals. There will be multiple opportunities for additional citizen engagement and feedback as we work through the strategic planning process in the upcoming months”, City Manager Becky Berger said. The survey revealed that three out of every five people are satisfied with the quality of life in Atchison, with fire department, police department and solid waste/recycling services being the top rated. The survey also identified condition of streets and code enforcement as some of the city’s biggest weaknesses, with each getting less than 40% marks for satisfaction. The full report is available on the City website at www.cityofatchison.com/2018survey. Paper copies of the executive summary will also be made available at City Hall, 515 Kansas Avenue. The survey and report were put together by ETC Institute, an organization out of Olathe with an outstanding record of performance in gauging community feedback nationwide. If you have any questions, please call Justin Pregont, Assistant City Manager, at (913) 367-5500 or justinp@cityofatchison.com.